Paper Art from Washington, D.C.
All are entries from a recent show and contest at the Hirshorn Gallery of Modern Art. The result: Some great examples of unusual art using no paint, no ink, no anything but a single piece of plain white paper. Well, one artist used 2 sheets (Below). Collection of cool modern hot air balloons and creative giant balloon designs from all over the world. 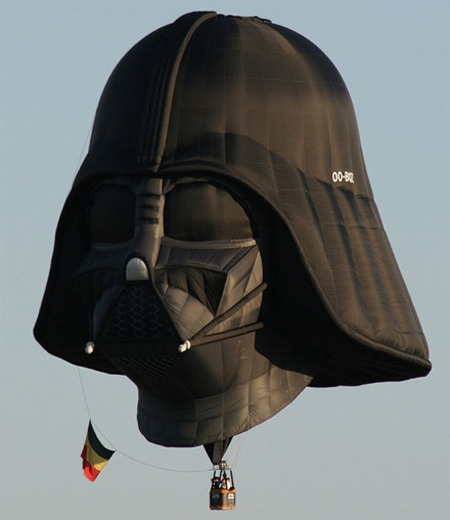 Cool Darth Vader shaped hot air balloon created by Belgian Star Wars fan Benoit Lambert. 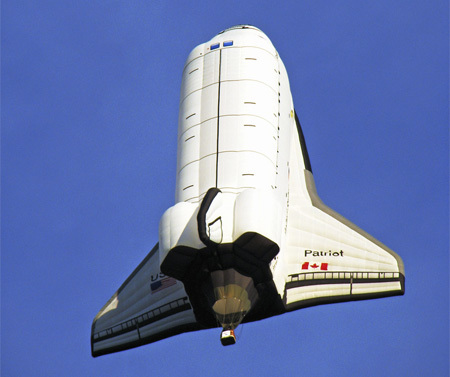 A hot air balloon, shaped and sized to resemble the Space Shuttle, drifts over Otttawa.